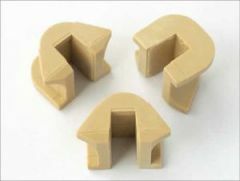 Often they are forgotten, but the sliding pieces in the variator are equally important as the rollers. In these sliders, the pressure plate moves constantly up and down. The guides should not jam, but certainly the clearance should not have too much. It is highly recommended to change the sliders to coincide with the rollers. 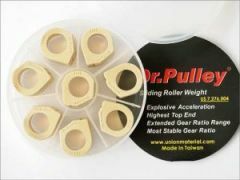 The sliding pieces are made of a similar abrasion-resistant nylon as the Dr.Pulley rollers, which promises a long life. 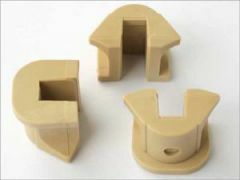 I have ordered the sliding pieces as part of an upgrade replacing the original manufacturer parts at 12000 miles. The bike is Honda FES-5 Pantheon 125cc, 2006 model. The only remark I have is that they did not fit right away, they were way too tight. I was still determined to give them a go and used a small file to take a bit off and get them to go in. I have to say the material looked softer than the original part but that may change with the time and temperature it is exposed to. I will be writing back to the shop customer service to suggest the fitting issues I had.